Your privacy is important to us. We respect and are committed to protecting your privacy. This privacy statement explains what personal data that this website “www.tdcc.ae” collects from you and how we use that data. 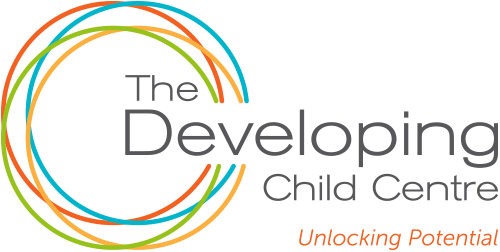 The following discloses the information gathering and dissemination practices of “ The Developing Child Centre” (which is referred to as “The Developing Child Centre”, “we”, “our”, or “us”) on the website “www.tdcc.ae” and our member services (“Services”) associated with the site. It also describes the choices available to you regarding our use of your information and how you can access and update this information. We may collect personal identification information from users in a variety of ways, including, but not limited to, when Users visit our site, register on the site, fill out a form, and about other activities, services, features or resources we make available on our Site. Users have the option tonavigate our site anonymously. We will collect personal identification information from users only if they voluntarily submit such information to us. These voluntary data includefields as name, email, phone and company information, email address tosubscribe to our email alerts, e-newsletters, and promotional emails, and logins to access portions of the site. Users can always refuse to supply personally identification information, except that it may prevent them from engaging in certain site related activities.We never obtain data from third parties. To improve Job search enquires – We use your submitted information to respond to inquiries you make regarding job postings. This website “www.tdcc.ae” provides an SSL encrypted, password-protected mechanism. We seek to use reasonable organizational, technical and administrative measures to protect Personal Information within our organization. Unfortunately, no data transmission or storage system can be guaranteed to be 100% secure.